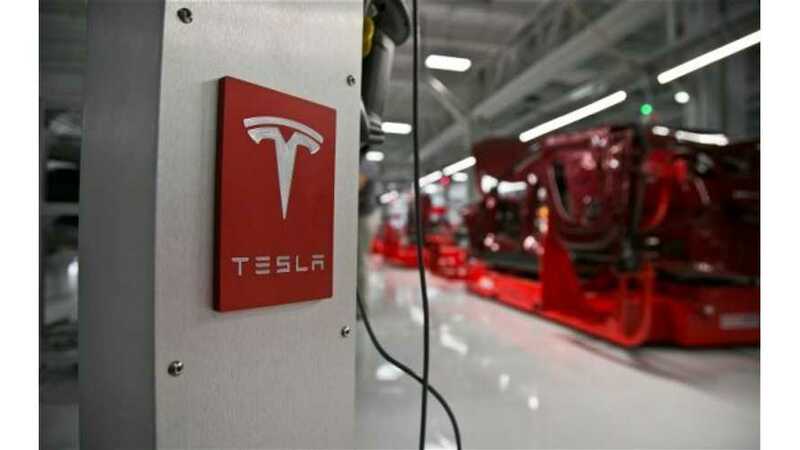 Tesla Motors reported first quarter earnings after the bell on Wednesday. Overall the company netted a 12 cents per share profit. The street had expected earning of 7 cents per share in the first quarter (ex-items) on lower Model S deliveries. On a GAAP basis the company lost 40 cents per share in 2014, or $49.8 million. Last year, Tesla also report a 12 cents gain in Q1 (ex-items). On the revenue side, analysts were looking for a number around $704.5 million (non GAAP), in reality $713 million was realized as compared to $561.8 million in Q1 of 2013. First quarter GAAP automotive gross margin came in at 25.4% (25.3% on a GAAP basis). Included in this margin calculation was an "unplanned" $2 million reserve for underbody shield retrofits. Tesla slightly bested their own estimates for both production and deliveries in the quarter. Tesla also noted that they saw "net orders grew sequentially by more than 10% in the quarter" in the United States. Also for the first time Tesla put some firm guidance on year-end expectations for sales. Gone is the 40,000 "production level" expectation; in its place, Tesla looks to deliver "more than 35,000 deliveries in 2014." Specific to this quarter (Q2), Tesla estimates it will deliver about 7,500 Model S vehicles, with total production between 8,500 and 9,000 units. "Planned production is again higher than deliveries because of the growing pipeline of intransit cars to Asia and Europe that have been built-toorder for customers. This includes cars destined for right hand drive markets. The quarterly gap between production and deliveries is expected to decline in future quarters." Looking at the numbers, it is hard to ignore the fact that Tesla needs to sell over 21,000 cars in the 2nd half of 2014 in order to hit their 35,000 delivery estimate. However, the company is noting that production (and therefore sales) of the Model S has been constrained by battery cell supply; and that problem will continue in the second quarter, but "should" improve in Q3. 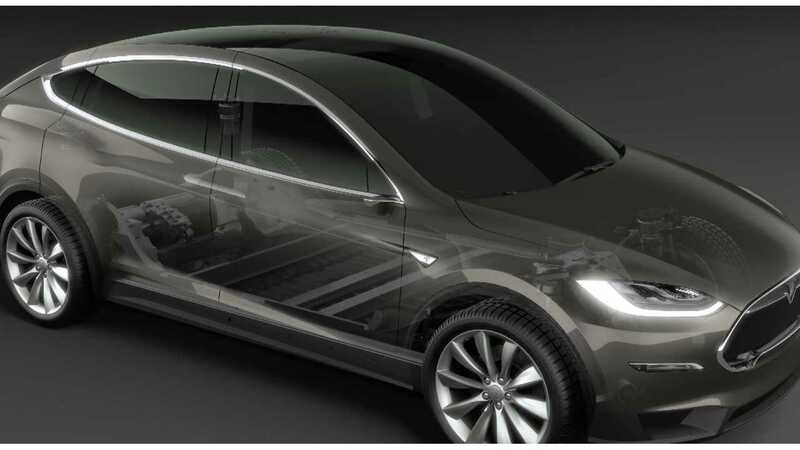 Tesla Model X - Rollout Beings "Spring of 2015"
Tesla notes they will also be working on expanding their assembly process for the upcoming Model X. However, where once the company expected to push out a few copies of the X by year's end to fulfil original expectations, Tesla notes that the introduction will now take place next year. "Extensive development work on Model X is underway and we expect to have production design prototypes ready in Q4." "Model X efforts are on track to ramp up production in the spring of 2015. We have just completed the final studio release of the vehicle. 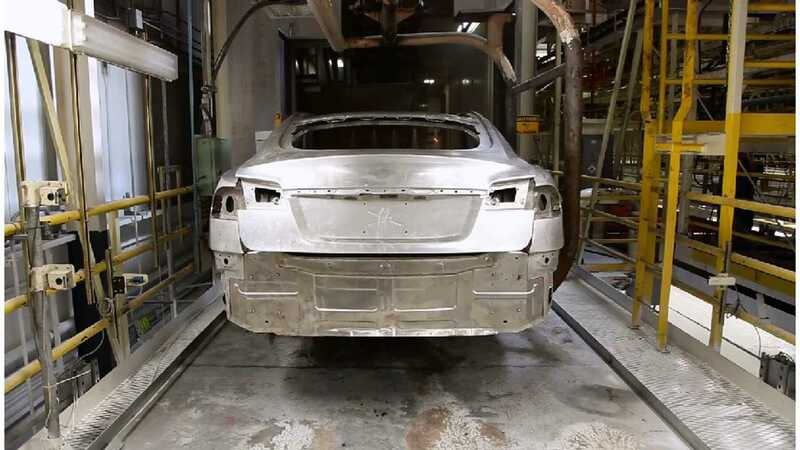 The tooling process has started with several suppliers ..."
"In Q1, we saw a significant sequential increase in worldwide net orders for Model S. This upward trend was driven by our greater global footprint and increasing consumer awareness of Model S."
Tesla Model S Will Be Exempt From Plate Lottery In Shanghai! 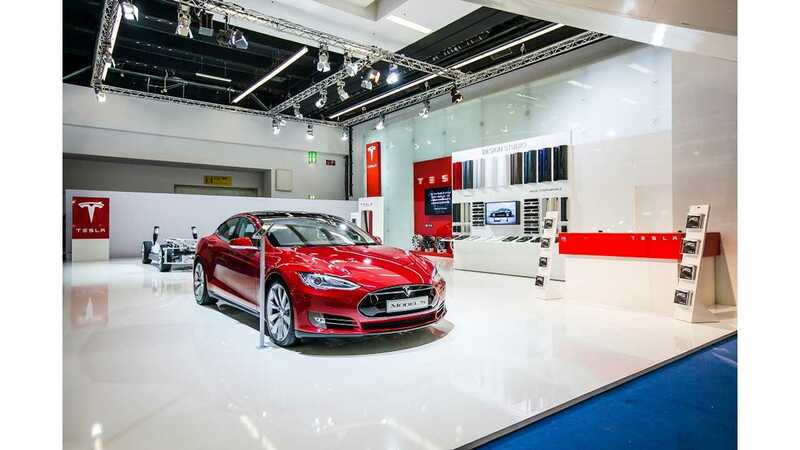 China Expansion: A big part of Tesla's forward looking numbers rely on the introduction of the brand into China; of which, the first Model S delivery (8 cars actually) took place last month at a special ceremony in both Beijing and Shanghai. Tesla notes it took "more than a year to secure proper government approvals, licenses and facilities," and that as part of that effort, the Model S will be entitled to "free" license plates in at least one region as the Shanghai government has clear the EV for special exemption. Tesla notes that without this exemption plates can go for as high as "$10,000 to $15,000 per plate" at public auction. "We plan to expand in China as fast as possible because we believe the country could be one of our largest markets within a few years. support is in place. With the help of the Shanghai government, for example, we were able to construct a Supercharger station within just a few weeks of site selection. At the start of China deliveries we had three Supercharging sites open, each powered by clean electricity from solar panels. Our plans are to install a large Supercharger network in China." 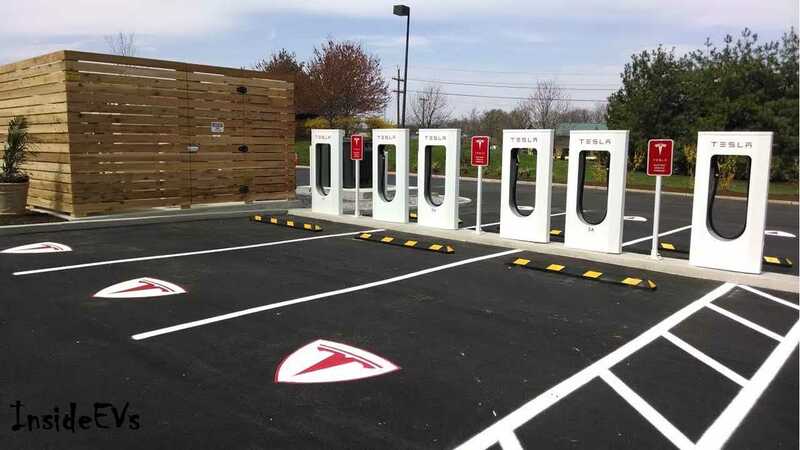 Supercharging Network: Tesla plans to open 200 new Supercharging station globally for the balance of this year. Bringing the year-end total number of stations to 300 locations. "As we grow globally, we are also expanding our vehicle portfolio. Our addressable market will increase with the launch of the right hand drive Model S in the United Kingdom next month, and in Japan and Hong Kong later this summer. " "...we are going to start work on at least two locations in parallel in order to minimize risk of delays arising after groundbreaking. Planning discussions with Panasonic and other potential production and supply chain partners continue to go well and we are pleased with the high interest level in the project. By the time the Gigafactory reaches full, annualized production in 2020, we expect battery pack production capacity to reach 50 GWh and cell production capacity to be 35 GWh. At that level of production, we do not anticipate any commodity supply constraints." 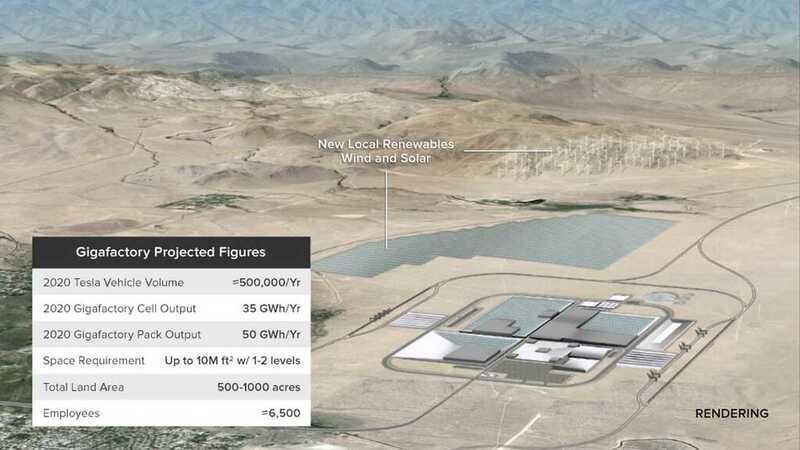 Tesla also noted today that California may be back in running for a Gigafactory location. UPDATE from Conference call: CEO Elon musk was asked about the factory and partners. To which he replied that Tesla now has a signed LOI (letter or intent) with Panasonic, and they have created a joint development team. Nothing has been finalized, but the two companies hoped to have a final agreement in place later this year. As part of this deal only Panasonic would be partnered in the production of cells...unless they could not keep up. Musk also noted that the biggest cost is in nickel – but the company is in talks with several nickel producers, including in Canada. Also of some importance was Tesla's cash position at quarter's end. After a highly successful issuance of senior convertible notes (worth $2 billion), the company's cash and short term equivalents stood at a staggering $2.6 billion. "We have just commenced production of Tesla powertrains for the Mercedes B-Class vehicle, a significant milestone in the development of the program. We expect to ramp up production shortly and see continued growth during the year." As for future earnings guidance and expenses, Tesla expects Q2 operating expenses to grow sequentially by about 30% for R&D and 15% for SG&A. "Despite the start of leasing vehicles, investments in R&D and geographic expansion, we expect to be marginally profitable in Q2 on a non GAAP basis." How did the market react to this report?